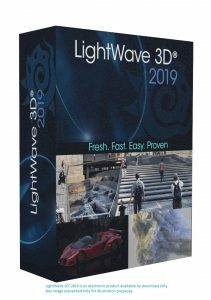 NewTek is pleased to announce the release of LightWave 3D® 2019, a new edition of the production-proven graphics and animation package that refines the artist’s workflow to make the creation of complex, photo-real animation and imagery faster and more efficient. Leading the list of improvements are the revolutionary new integration tools with Unreal Engine for real-time data transfer to the world’s leading game engine. The system performs automatic discovery to make the workflow entirely seamless.